Before continuing on with this article, we recommend you read our first in this series, Detailing Best Practices...“Think before you leap.” In Think Before You Leap we began with the basics of car care and the benefits of using clay bar. 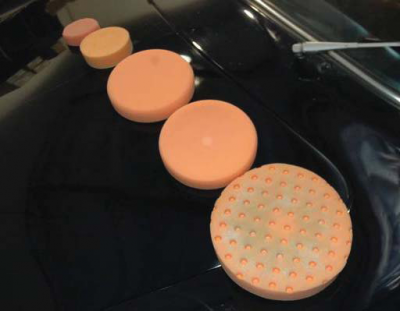 This article covers the importance of choosing a “system” which is the next logical step after the initial prep and clay bar. One of the most difficult tasks when setting out on learning how to maximize your paint finish is sifting through all of the choices. Spend some time at your local auto parts store and you will find hundreds of products promising to solve every problem you may encounter; such as scratch removers, insect and tar removers, glass cleaners, polishes and waxes, plastic trim products, and so on. However, before you go about selecting products, you really need to fully understand the basics of car care. And to do so keep in mind that it’s beneficial to always start with a clean slate or as close to one as possible. So whether you are trying to improve your paint, the plastic trim or the interior of your MINI, first think of how you can strip the surfaces naked of any previously applied products and then determine the correct course of action to make the surface look its best. Starting with a clean slate is important because products are designed to treat or work on specific surfaces, and like the importance of clay bar to your paint, proper prep is essential to getting the best results from your chosen products. If the paint is contaminated and you apply products on top of that, it’s unrealistic to expect maximum results both in terms of looks and durability. This is why it’s so important to clean your surfaces before you attempt to improve them. 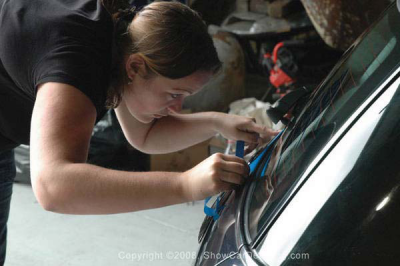 It should go without saying that it is imperative to follow the manufacturer’s directions regardless of how many years of experience you may have with detailing products. 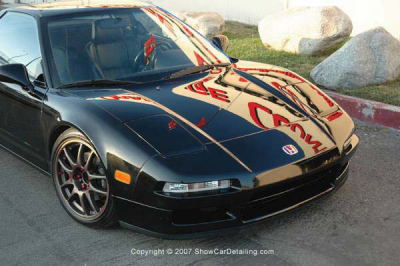 When deciding about your own paint protection system or process, you need to consider the importance of durability, looks (including shine and reflectivity), and ease of application. Although I can just tell you to use the system I like, it’s crucial to decide for yourself what qualities are most important. For some people, a wax that will protect for as long as humanly possible is the only thing they care about. For others, a wax or equivalent protectant that produces the best look and highest gloss day in and day out is more important than all out durability. So what exactly is a system? A “system” is a series of complimentary products designed to solve a specific problem. Take for example a system of protection and maintenance. Starting off with a base synthetic polymer sealant, such as Prima Epic to provide protection, you’ll want to use complimentary car wash soap, such as Prima Mystique, because it too includes synthetic polymers which help to enhance the look of your paint. From there you can build up the protection each time you wash with a booster wax called Hydro. 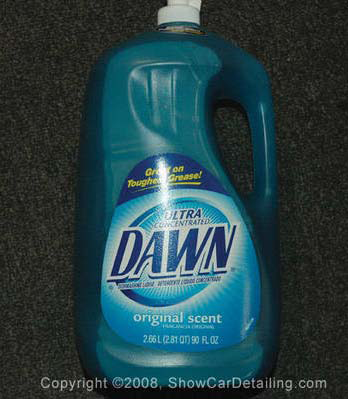 This is sprayed on the wet car to both increase the longevity of the wax protection and make the paint look its best. 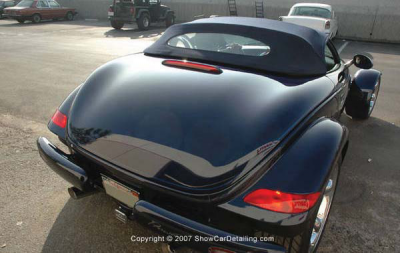 But before you can really take advantage of a paint protection and maintenance system, you need to start with an optimal finish that has been cleaned with clay, polished to remove physical defects, then finally protected and sealed. And of course, Prima has you covered in all of these steps as well. If you ask the typical car care enthusiast about what products they use, waxes will probably be the first thing that they mention. 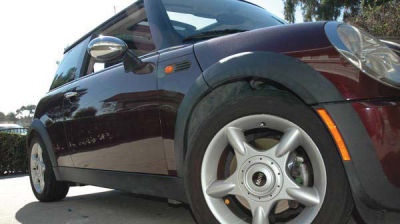 Some may extol the virtues of a polish before applying a wax or sealant or maybe even the importance of clay bar. In any case, the ultimate goal is to make your paint look its best using the tools and knowledge available to you. Before we delve into particular systems, we need to talk a little bit about your paint. Absolutely flawless paint is one that has no surface defects, both above and below the paint surface. It reflects light like a gemstone and the color is rich and deep. 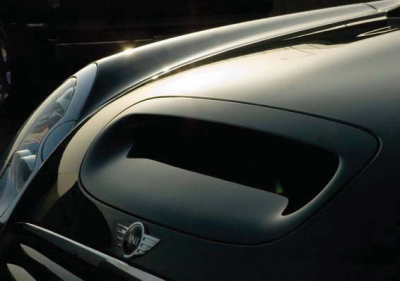 Regardless of the lighting condition, it gleams and shines like a pool of liquid accentuating all of the curves and lines of the MINI. Anything that disrupts this effect is known as a paint defect. Paint defects are the result of something that has abraded or marred your perfect finish. This can be a scratch, bird dropping etchings (ghosting), water spots, or a variety of other causes. 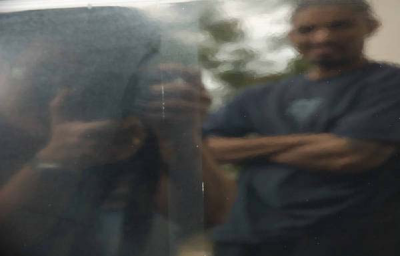 Just remember that any time you rub your paint, whether it’s cleaning off dust and dirt or sliding that heavy box you put on your roof, or having that attractive model posing on your bonnet, you are abrading the surface with the dust and dirt particles trapped between the object and the paint. Unlike human skin, these abrasions don’t heal. You can address them in one of two ways or even a combination of the two by concealing them like makeup or by removing them by leveling the paint. To conceal them, you want a product rich in fillers. To remove the flaws, you either need a polish with chemical cleaners that soften the paint or have abrasives that can remove paint to level the defects. Chemical cleaners aren’t nearly as effective as abrasive polishes but they do allow you to achieve a certain amount of correction by hand. The best polishes utilize diminishing abrasives that start off coarse and break down to finer and finer grits the longer you polish them. 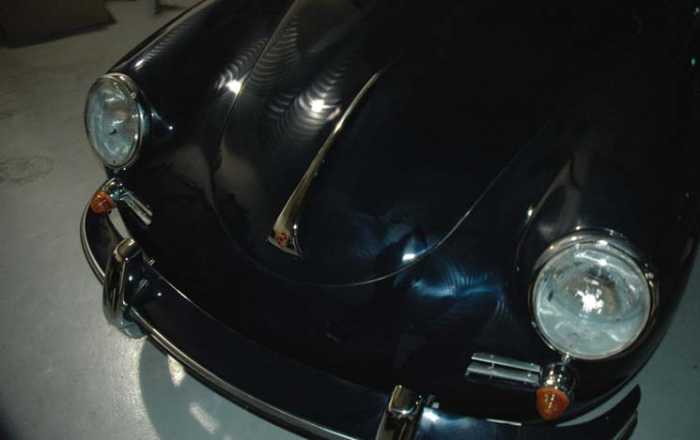 In the old days, enthusiasts used rubbing compounds that contained very sharp and coarse abrasives which worked well for highly oxidized single stage paint finishes (non clear coat). 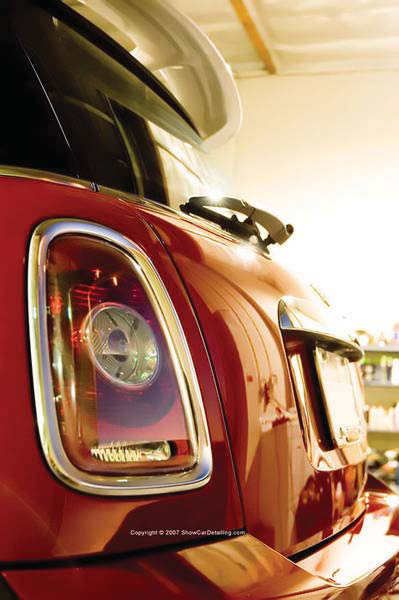 For your MINI and any modern finish, stay away from rubbing compounds. They are commonly available from your local auto parts store and they have no place on your MINI. 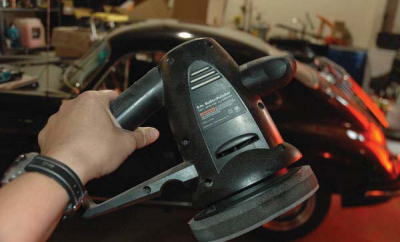 The best way to work a polish with diminishing abrasives into your paint is through a dual action orbital or machine buffer. Most of these polishes can be used by hand as well, but the enormous amount of effort to achieve good results usually far outweigh the benefits they provide. There is a very common misconception about machine polishers and once again, it stems from the “olden” days. Buffers come in different forms. 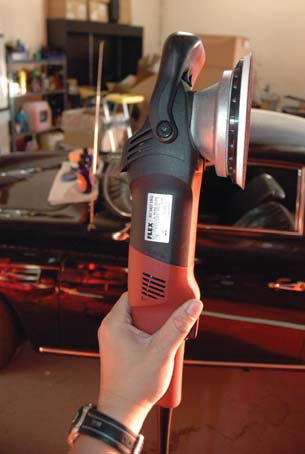 There are forced rotation rotary buffers that are used by professional detailers and body shops, and there are dual action random orbital polishers that can be used by nearly anybody. Both polishers look similar but they are vastly different both in terms of safety to your paint and time to master. They mostly differ in speed and ability to correct. 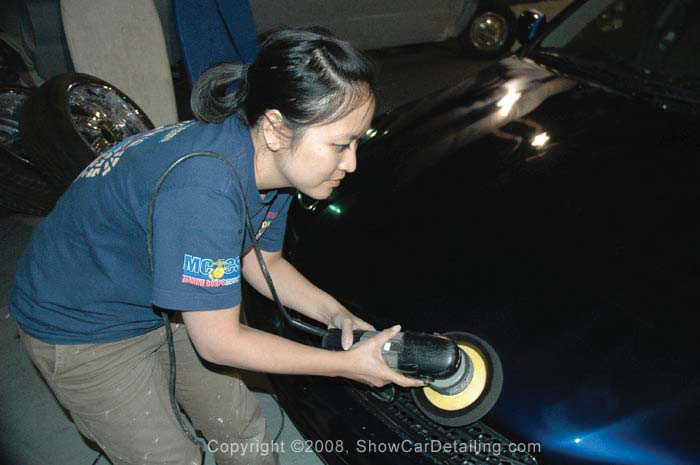 A powerful rotary buffer gives you ultimate corrective ability but at a cost, potentially destroying your paint if you aren’t careful. A dual action random orbital (RO) can achieve nearly the same results given the time but it does require a bit of creativity to squeeze out its maximum power capability. It’s called dual action because the primary spinning action is actually in an orbital pattern, and as a result of this orbit, causes the pad to freely spin on axis, the second action. Recently a new polisher was introduced that combines the forced rotation of the rotary buffer with the orbiting action of the random orbital polisher, thus essentially giving you the best of both worlds. As a paint polishing professional, I love the Prima system because I can use either machine type with the same pads and chemicals, and the factors that would influence my choice would be based on the degree of correction desired, and how much time I had available to get the job done. In short, unless you’re a professional, the rotary buffer is a tool you will likely never use nor spend the time to master. 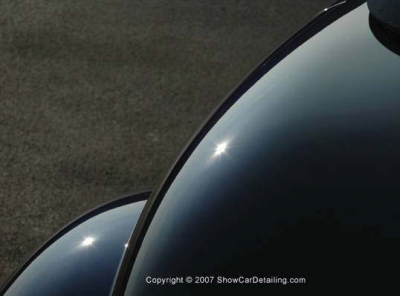 For me, it gives me the capability to polish out swirls and scratches quickly and safely or determine whether a given course of action is going to get the job done or not, but it requires a second process of the RO polisher which adds time to the correction process. For you, the RO is the perfect machine tool for safe and effective polishing even though it works more slowly. 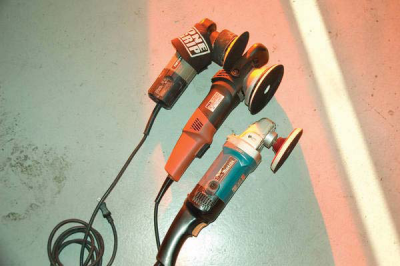 Best of all, you don’t need any other power tools to finish your polishing work. Regardless of the system you choose, the order that you use the products is the same. There is always a prep stage, a polishing stage, and final protection. It’s a good idea to memorize this process order as it makes choosing the appropriate product simply a matter of remembering which stage you’re on. It’s also always a forward moving process. You will never abrasively polish your paint after you’ve waxed it. And likewise, you will never clay bar it after you’ve polished it unless you discover some bonded contaminants that you forgot to remove. Waxes are used for protection. How strong that protection and in general how easy it is to apply is based on what type of wax you choose, carnauba or synthetic polymer based. The form it comes in, whether liquid or paste is more about user preference than having a performance advantage. Because they are the last product to be applied, they may or may not contain fillers. Polishes may contain fillers although they most often also contain diminishing abrasives. Remember that polishing comes before waxing. At least one manufacturer refers to its synthetic polymer waxes as polishes which can make things confusing if going by the traditionally accepted definitions. Another manufacturer sells a pure polish that contains only beautifying properties without any correction ability and is often used as a temporary glaze on top of your wax for shows. 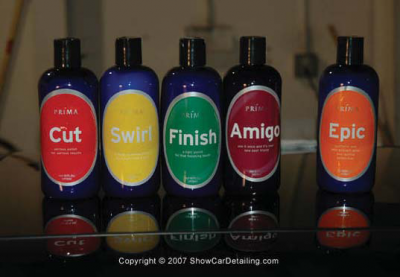 Prima sells a combination wax/polish/glaze called Amigo that cleans your paint, applies synthetic polymers and with the proper polishing pad, can polish out extremely fine defects. Regardless, the importance of each step and understanding how they are used is key. Polishes are an often ignored but important step to improving your paint. The RO polisher is often referred to by different names including buffer, polisher, DA, PC, random orbital. These machines come in various forms. The least expensive models are single speed, use large soft pads, and are operated with two hands. These are effective for applying waxes to your finish but not for leveling paint defects. The commonly accepted polisher is made by Porter Cable which is variable speed, utilizes smaller 5 to 6.5 inch pads, and has enough power to level paint, or be gentle enough to apply wax quickly and evenly. Aside from the actual machine is the pad that does the polishing. This is held onto the machine with a backing plate consisting of hook and loop fasteners. The pads themselves vary in density and are chosen based on the amount of correction desired. The pads also come in different cross sections: Flat pads the oldest and simplest, beveled pads also known as variable contact(VC) are used in the Prima system, Closed Cell Structures (CCS) which are dimpled, or most recently Cross Cut (CCX) which look like waffles are examples of the latest pad technologies. For the most part, variations of the flat pad are designed to address issues such as splatter or product buildup. Although I’ve tried most of the pad technologies, I still prefer flat pads for their predictability when it comes to pad control. That is—when I move the spinning pad in one direction—it goes where I expect it to go and isn’t like trying to control a raging bronco! Quite often these other solutions let you adopt poor technique only to compromise control or feel. It would make sense that in order to polish paint; you need to use a polish. Today’s modern polishes contain diminishing abrasives that are comprised of either silica and or aluminum oxide. Without getting too technical, these abrasives are suspended in an emulsion, the liquid polish as we know it. When we polish with a buffer, these abrasives break down into finer and finer grit. Typically the solution is opaque and thick and once polished, becomes translucent and thin and easily wiped off. This is how you know you’ve polished long enough—both by how it looks and how it feels. It is VERY difficult and labor intensive to mimic this buffi ng action by hand. 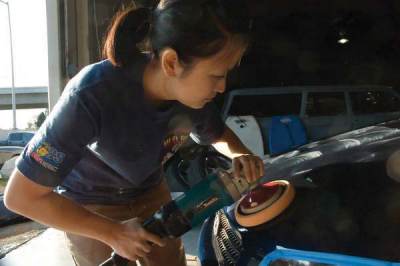 A polisher spreads the work out wider and more consistently than you could ever do with your fingers, and that’s why a machine polisher is the key to getting the best results from your paint. While machine buffers are not inexpensive, they do last a lifetime, and can be sold to other enthusiasts without losing too much of your investment should you decide you no longer want it. Polishes come in different levels of abrasiveness. 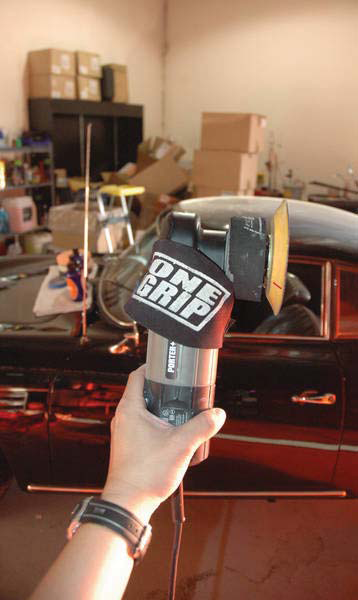 Although diminishing abrasives are used, the starting grit size is what determines how aggressive the polish is. So a product like Prima Cut will feel gritty compared to Prima Swirl. In the Prima line, having choices for different scenarios is what allows the system to be flexible. 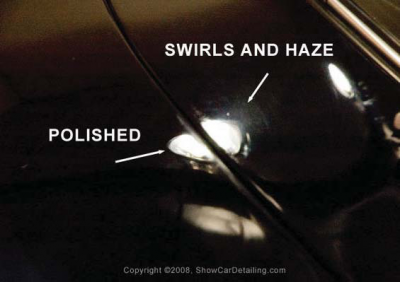 While Prima Swirl might solve all of your polishing needs on your MINI, one day you might be polishing out your spouses car and realize that Swirl isn’t working well enough, and you’re positive that the problem isn’t with your technique. So you might need to choose a more aggressive polish such as Cut or a less aggressive polish such as Finish, depending on your needs. You also should realize that as you get more aggressive, the potential to haze or fog your finish grows, so you have to anticipate adding an in-between polishing step to remove the haze that you created. As you gain experience you begin to recognize what defects can be removed by certain pad & chemical combinations. 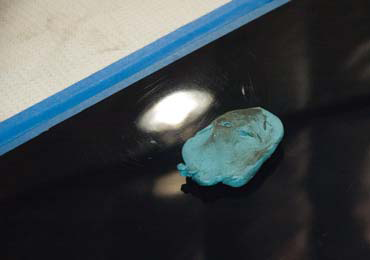 Of course an added variable is paint hardness, so while Swirl and an Orange pad may work great on one car, there is no guarantee it will work on another, even of the same brand, model, or year. It always comes down to trial and error, but starting off with an educated assumption is your first step to narrowing down the possible solutions. Once polishing is completed, you need to apply your wax. Although the term “wax” refers to products that are either natural (carnauba) or synthetic based (polymers), we use it to refer to chemical products that provide protection regardless of the method. 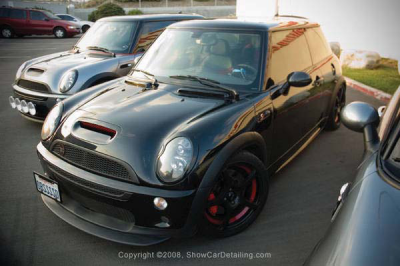 Most cars are painted using 3 layers of paint consisting of primer, basecoat, and clear coat although many cars today like the R56’s actually do away with the primer for both environmental and production speed reasons. The actual thickness of these layers is just a hair thicker than a typical sheet of paper. Any wax protection you apply will be a microscopic barrier so it stands to reason why insects, bird droppings, and other physical impressions cannot be stopped by a fi lm of wax alone, although it does help by preventing them from sticking and causing further damage over time. Prima Epic is a synthetic polymer wax that provides excellent protection for your paint for 4 to 6 months depending on environmental factors. It also richens the color and depth of your paint unlike typical synthetics while also adding the beautiful liquid refl ective and glossy qualities you seek. While a wax alone can certainly make your paint look better and give you decent protection, unless you polish out the swirls and scratches in the paint to achieve that beautiful finish, you will never achieve optimal gemstone like results. And that’s why it’s vitally important to choose a well designed system of products with the proven ability to help you reveal the inner beauty of your paint. I hope that this in-depth coverage of what goes on in improving your paint finish will help you choose more wisely the products you need to get the results demand. This in turn should save you money and give you the best chances for success down the road. I hope you found this article informative. 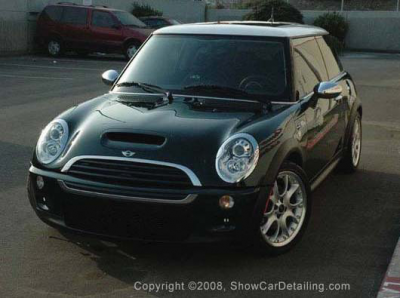 Heather from Detailers Paradise wrote the next article in the series "MINI Leather Care," so be sure to look for that.